Honda Cars India Ltd. (HCIL), leading manufacturer of premium cars in India, today introduced two new grades of Honda Mobilio V(O) & RS(O) featuring first in segment Audio Video Navigation (AVN) and Rear View Parking Camera. The newly introduced V(O) grade will be positioned on top of the existing E, S and V grade in both Petrol & Diesel. The exclusive sporty RS (Diesel) variant of the Mobilio will have an additional RS (O) grade featuring the AVN and Rear Parking camera. The availability of the RS and RS(O) will begin from mid-September 2014. Honda Mobilio’s Audio Video Navigation system features a large 15.7 cm Touch Screen loaded with maps, satellite-based voice guided navigation, and complete in-car entertainment and connectivity features (DVD/CD, Bluetooth, USB, AUX, i-POD, MP3, FM/AM) that make the user’s travel safe, convenient, smart and fun. The system comes with an integrated Bluetooth communication function that lets the user sync their phone with it and implement functions on screen including dialing, answering, history, address book and Bluetooth music play. The built-in navigation featuring intuitive and suggestive keyboard allows the user to search locations and helps to reach their destination conveniently. Expressing delight on the introduction of the new variants of the Mobilio, Mr. Jnaneswar Sen, Sr. Vice President – Marketing & Sales, Honda Cars India Ltd. said, “We are delighted to offer these new grades of the Honda Mobilio to our customers in India. It’s our endeavor to provide class leading features in our cars so that we can delight our customers. The AVN system and Rear View Parking camera are one of the most sought after features and adds to the premium feel of the car. With these new features, stylish looks, best in class fuel-efficiency and uncompromising performance, the Honda Mobilio is one of the most compelling products in its segment today.” The newly introduced grades will also feature Woody Interior Panel on the dashboard and Door Armrests to enhance the interiors of the car. The complete range of the Mobilio has been expanded and is available in 10 variants. The Mobilio will be available as E, S, V and V(O) (New) in Petrol & Diesel. The sporty Mobilio RS will be available as RS and RS (O) (New) in Diesel. 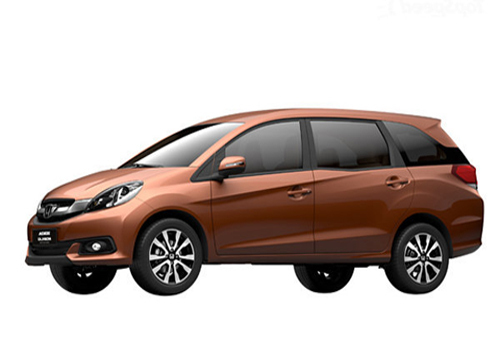 Honda launched its mid-size stylish MPV Honda Mobilio in July 2014. The Diesel Mobilio powered by the 1.5L i-DTEC diesel engine delivers a maximum power of 100 ps@3600 rpm, maximum torque of 200 Nm@1750 rpm and best in class* fuel economy of 24.5 kmpl as per test data. The Petrol Mobilio with 1.5 L i-VTEC petrol engine delivers a maximum power of 119 ps@6600 rpm, maximum torque of 145 Nm@4600 rpm and best in class* fuel economy of 17.3 kmpl. 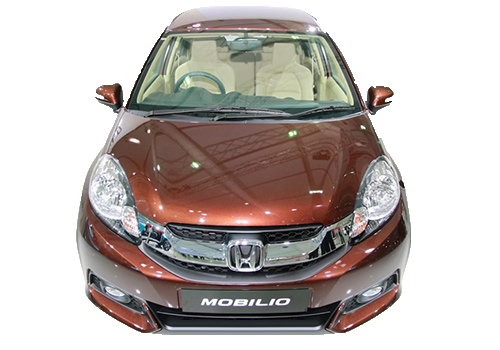 Click here to read complete review of features offered in Honda Mobilio.